Posted on January 20, 2014 at 6:38 pm. One of the core principals that guide our company is the idea of continuous improvement. It would be very unwise of us to think we have it all figured out and can simply keep doing what we have always done or are currently doing and the company will continue to keep rolling along without incident. The past five to six years have taught us once again that we have to be nimble enough to see changes coming and adjust. We certainly never could have lasted these past thirty one years if we weren’t constantly improving and changing. If you look at our history, you’ll see that we have been continually reinventing ourselves. 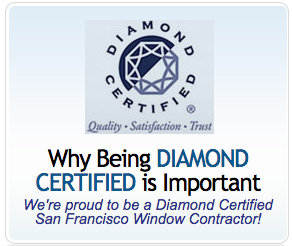 We started as an insulation contractor, then adding windows, energy efficient lighting products and services, started a mail order catalog company of fun and energy efficient product, and then narrowed our focus to only doing windows and doors for our neighbors here in San Francisco, Marin and Sonoma counties. The only thing we have not changed is our goal of being the very best contractor we can be, and to do the right thing for our clients and community. Last night I returned home from the Certified Contractors Network’s (CCN) Winter Conference held in Orlando Florida. CCN is a national organization that helps contractors like ourselves learn all the very best practices that are available to them. Needless to say they attract the very best of the best and it has been our privilege to have been a member these last nine years. They have helped us concentrate on setting up systems to help us run our company smoother and to better serve our clients. Probably the biggest benefit aside from all the talented speakers and trainers they bring in is the opportunity to network with other company owners and learn what great things they are doing in their part of the country and then take that back and implement them in our own company. CCN holds three conferences a year and their winter conference is their year-end awards banquet. It is truly inspiring to see and hear how others have overcome whatever obstacles they had in their businesses to climb to the very top of the industry. I have returned rested, inspired and ready to go back to work tomorrow morning with renewed focus and intensity, and I hope to make a difference in the lives of our employees and clients.